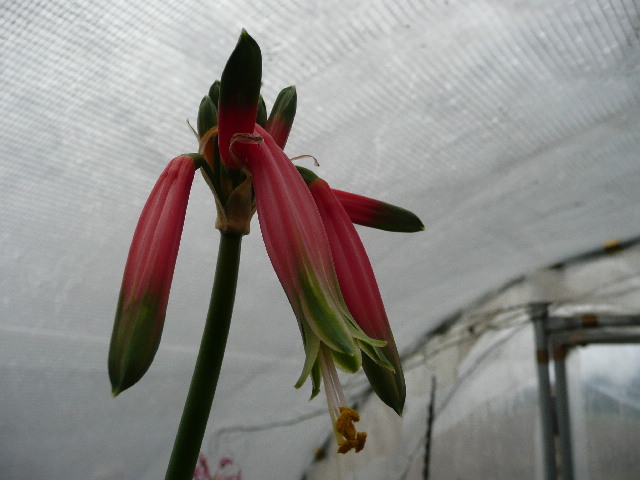 Phaedranassa is a genus in the Amaryllidaceae family which includes nine species, six of which are found only in Ecuador, the remaining three being from Colombia, Costa Rica and Peru. They are largely montane species, where they grow in disturbed areas, often colonizing road cuts, and usually coming into bloom after the dry summer season in their native lands. 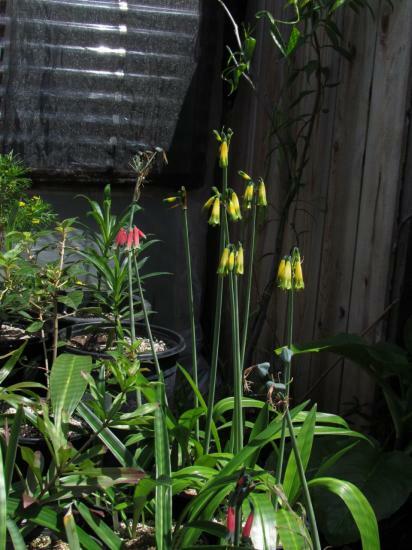 These beautiful bulbs are characterized by having leaves that are glossy green, greyish-green, or covered in a dusty powder. 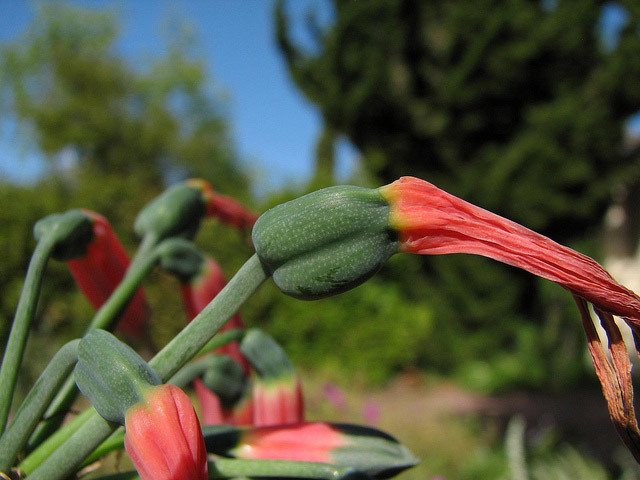 The flowers are produced in an umbel, most species having large tubular pink to red and orange flowers that are variously banded in green, with anywhere from five or six flowers to fourteen or fifteen to an umbel. While some other amaryllids can be challenging to grow and bring into bloom, phaedranassas have proved extremely easy and obliging. After reaching maturity, they will bloom every year given the proper treatment. 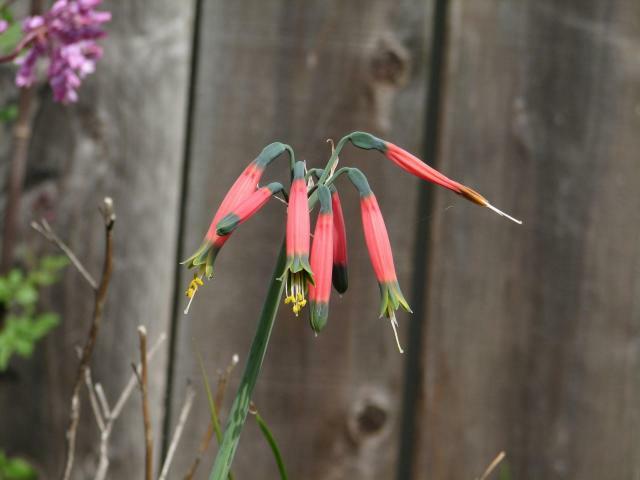 Diana Chapman of Telos Rare Bulbs grows them in a mix high in organic material, and they have grown and increased well in anywhere from a one to a five gallon container. They need regular fertilization, since some species are quite vigorous, and they need to reach a certain critical size before they bloom. 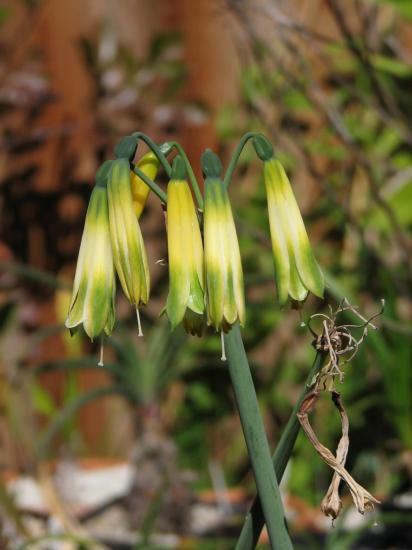 These bulbs are not frost-hardy and since they grow rather shallowly with the neck just barely exposed, freezing could potentially damage the bulb. 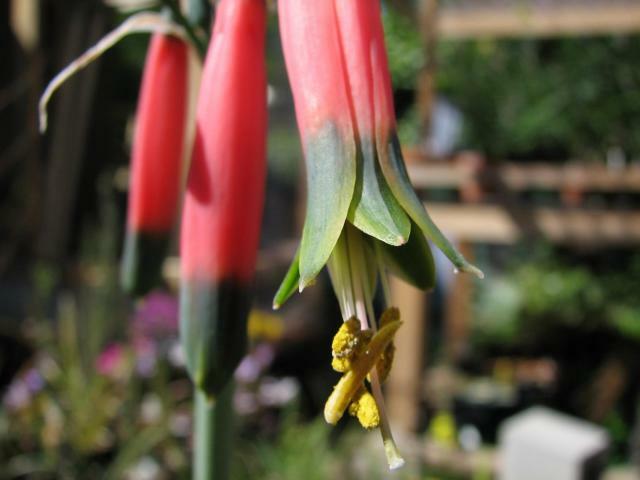 It is advisable to grow them in a greenhouse in anything but the mildest climates. 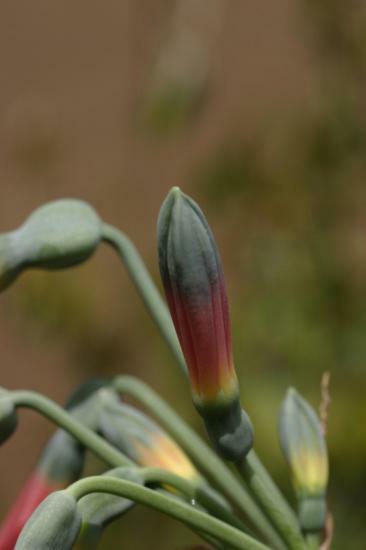 It is often said in reference books that phaedranassas can be brought into bloom at any time of year by withholding water for two months, then resuming watering. 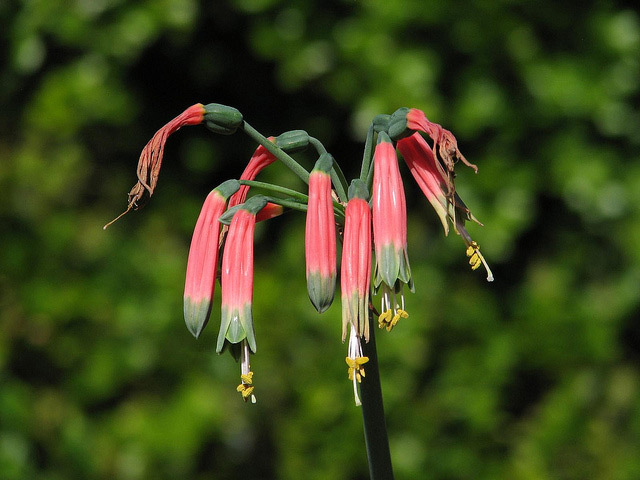 It doesn't seem to matter at all whether they are kept cool or warm during this forced dormancy, and they generally bloom about eight weeks after watering has been resumed. Using this technique, therefore, one could bring them into bloom for the winter months. However, this advice doesn't appear to be applicable to all species and may only be applicable to the most commonly grown ones such as P. dubia. 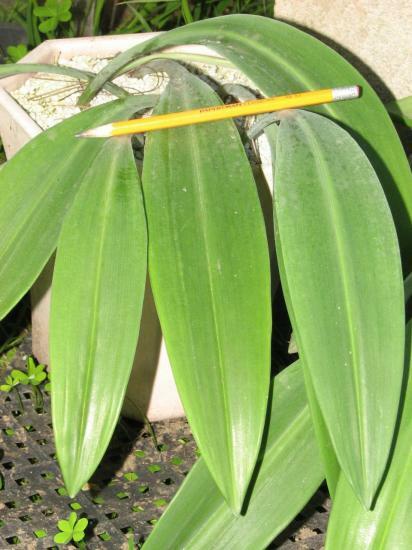 Unfortunately, many plants of this genus in cultivation are highly infected by a mosaic virus (see below). 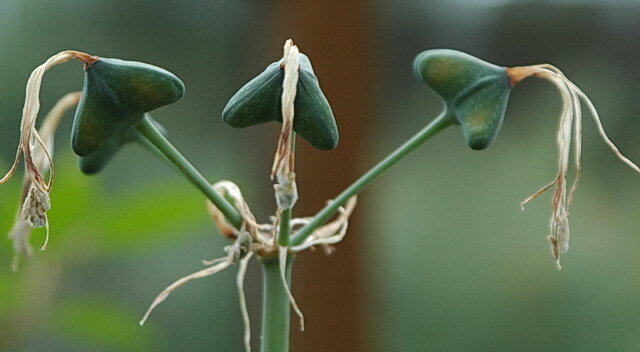 See the Virus page for tips on how to handle suspected virused plants. 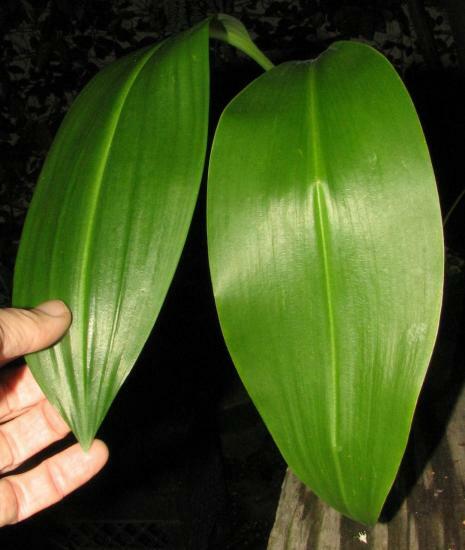 To avoid viruses, it is best to grow these plants from seeds. Since the seeds of this genus are papery, many growers prefer to float fresh seeds in water until germination. This can take a few days up to 2 weeks. Then they can be planted in a well-drained mix of at least 50% inorganic material. They germinate just as well by sowing directly into the medium. Seedlings can be fertilized with a dilute solution of low N and high P fertilizer and if grown in favorable conditions can come into bloom as quickly as the third season. Photos 1-3 were taken by Mary Sue Ittner. 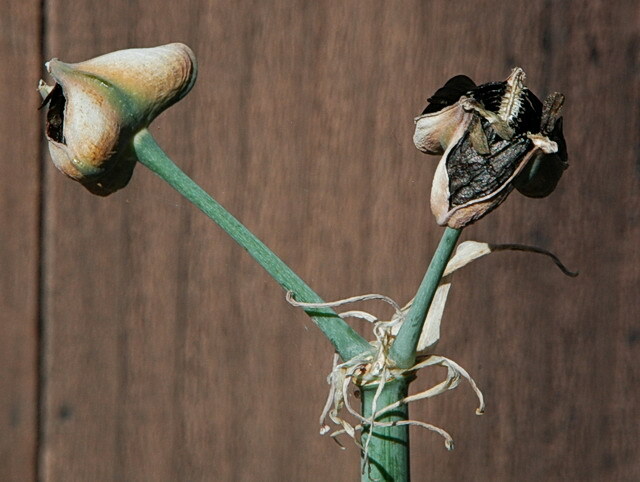 Photo 1 shows various species blooming together and photos 2-3 show the pods and seeds. Photo 4 from Jennifer Hildebrand shows a virused leaf. 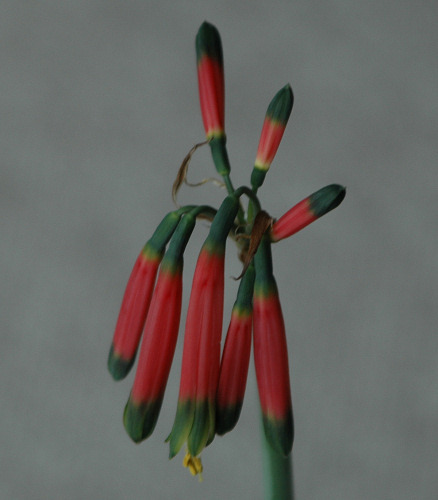 Phaedranassa brevifolia Meerow is native to northern Ecuador. 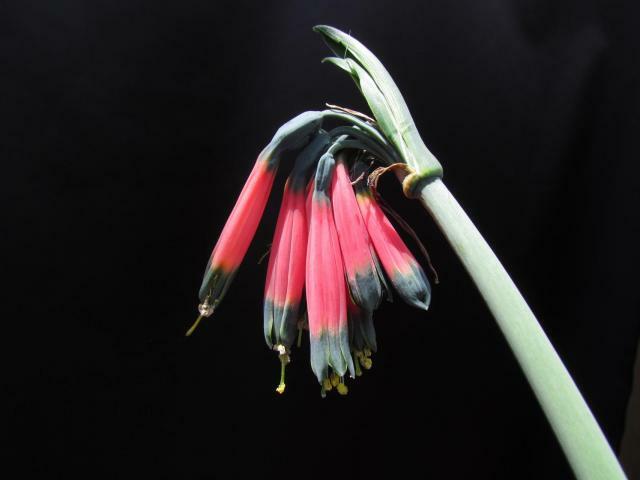 It is on the IUCN red list of endangered plants. There are only five known subpopulations in the dry valley of the Río Mira between Imbarura and Carchi. This species is threatened by agriculture and grazing. 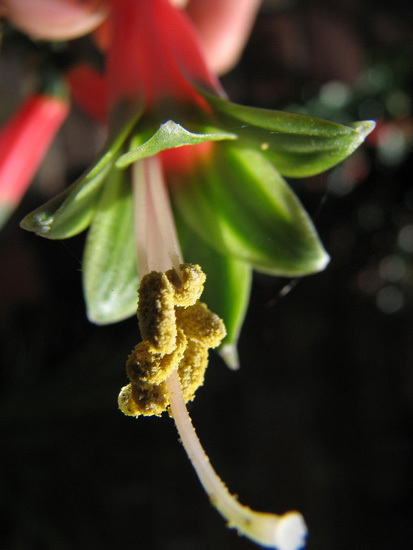 Staminal filaments are pink and flowers are less than 45 mm long. 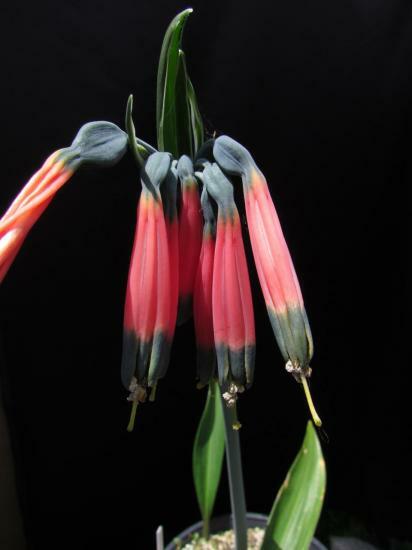 Phaedranassa carmiolii Baker is a species from Costa Rica with red and green flowers. 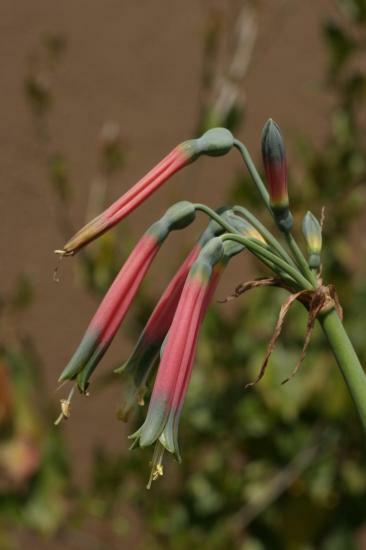 There is a plant easily grown in cultivation by that name that may not actually be this species, but it is unclear if not, what species it is. 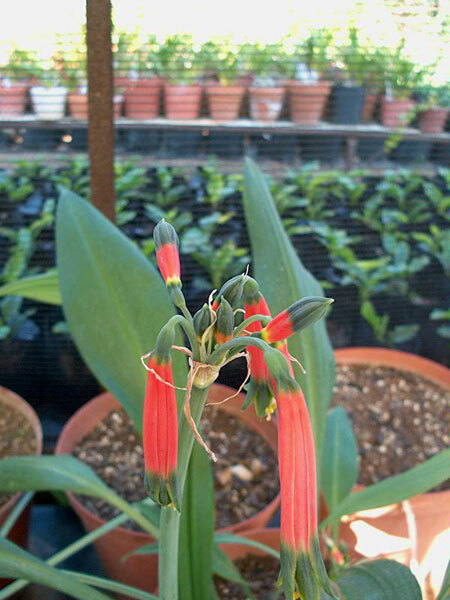 Pictures are of the plant in cultivation. 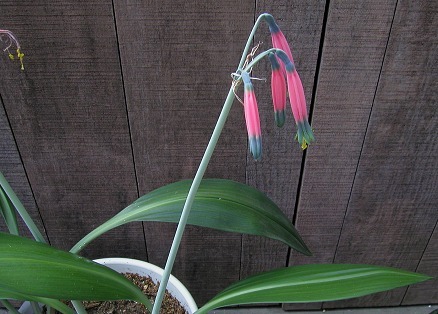 By manipulating when I withhold water from my plants I was able to get one to bloom late April-May 2004 and a second to bloom in July 2004. Photos 1-2 were taken by Mary Sue Ittner of these two plants. 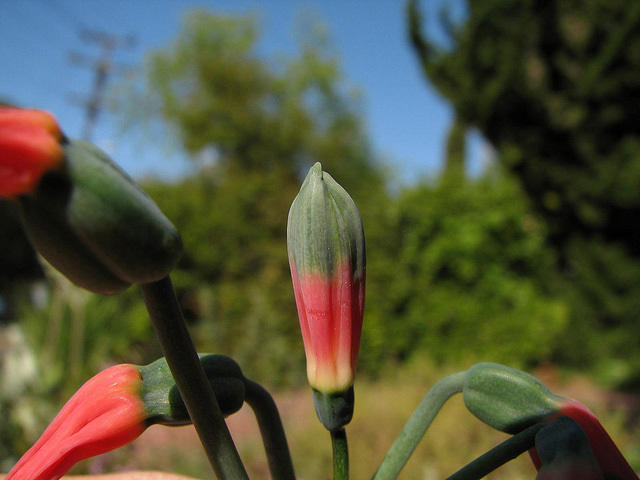 Photo 3 was taken by John Ingram shows the first bloom in his Venice, California garden. Photos 4-6 were from Nhu Nguyen. 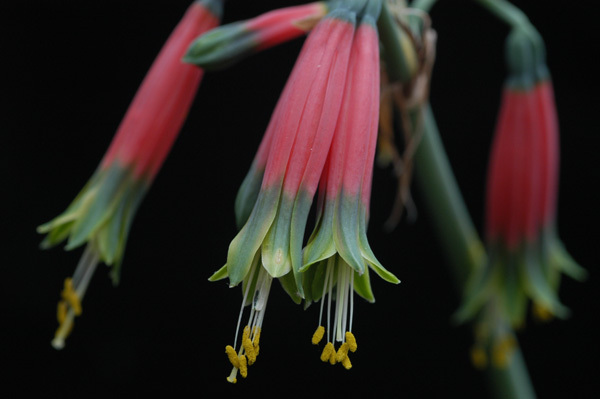 Phaedranassa cinerea Ravenna is endemic to the Pichincha, Cotopaxi and Chimborazo provinces of Ecuador. 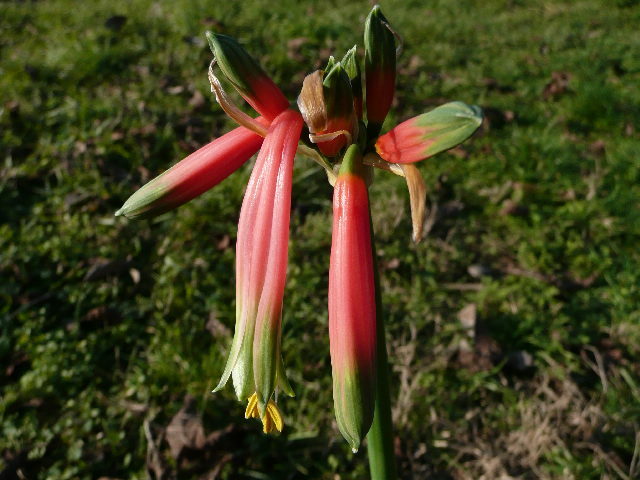 The plants can be found on roadsides in dry and rocky areas of the Andes. 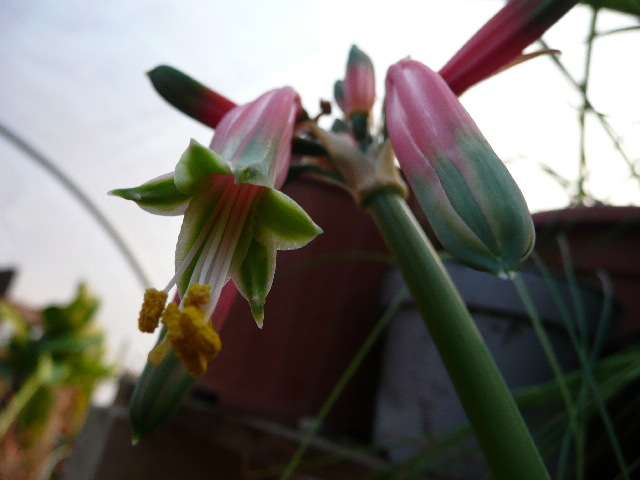 It has deep rose pink flowers banded green at the tepal tips with the colors separated by a narrow band of yellow. Anther filaments are white. The underside of the leaves in this species is silvery, although some plants seem to have less silver than others grown from the same pod. The species is threatened by habitat loss in the wild. Photos by Mark Mazer and Mary Sue Ittner. Phaedranassa dubia (Kunth) J.F.Macbr. (syn. Phaedranassa chloracra Herb.) 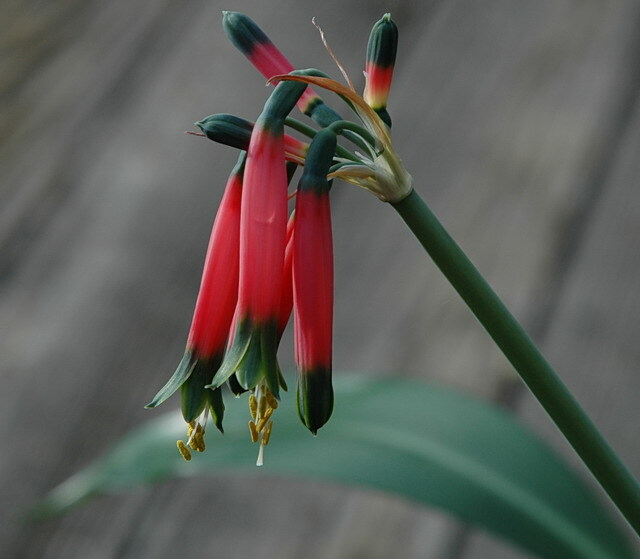 is native to southern Colombia to Ecuador. 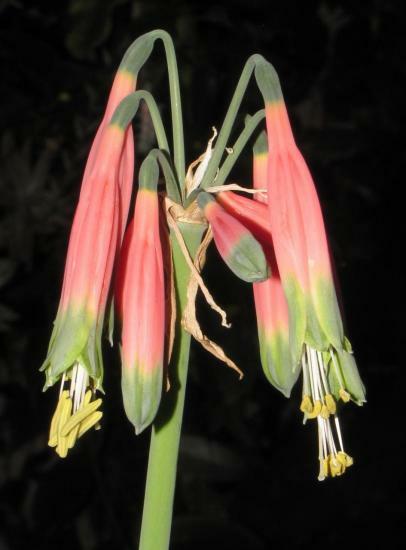 It has deep pink flowers, pink staminal filaments, banded yellow around where the tepals meet the ovary and stained yellow (to white) on the tepal margins of the distal 1/2 - 1/3 of the flowers. 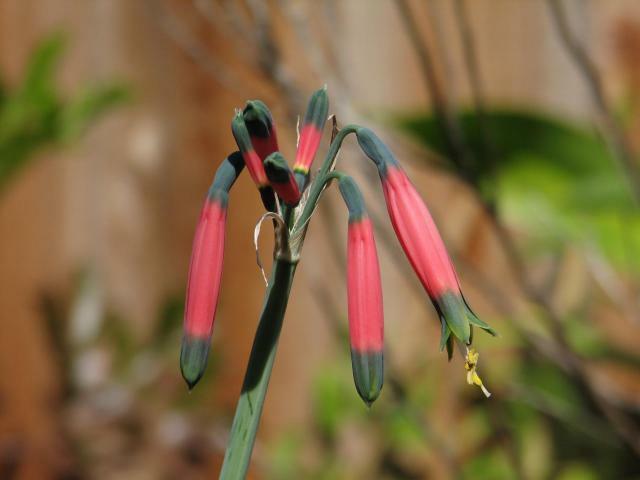 Plant flowers often with no leaves. Nhu Nguyen grows the bulbs in a 1:1 organic:inorganic mix and fertilize a couple of times during the summer growing season with a dilute high P low N fertilizer. 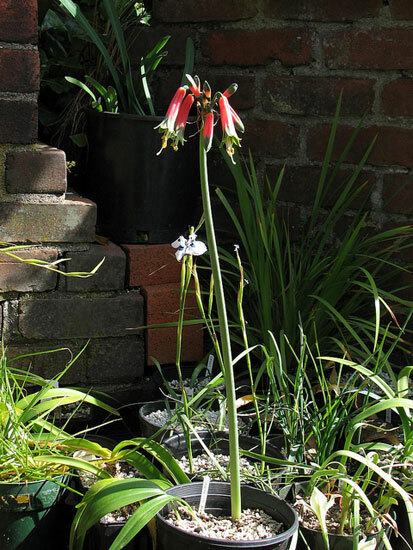 Bulbs will grow and bloom fine in a 1 gallon pot. 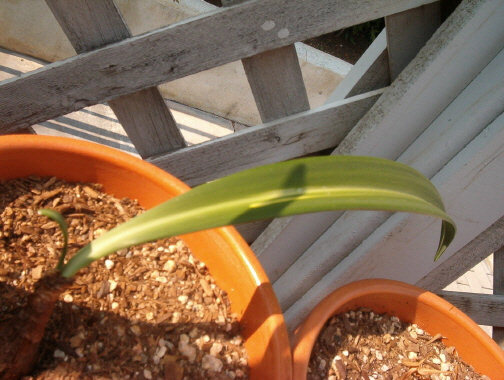 During winter dormancy, the bulbs will drop their leaves but it is not necessary to keep the bulbs dry during this time. 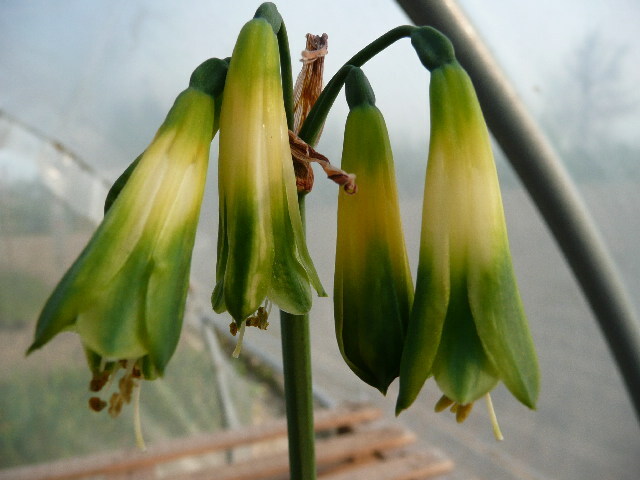 However, keeping the bulbs dry during dormancy may induce more reliable flowering. Photos below were taken by Nhu Nguyen in early April. These show the subtle characteristics to differentiate this from other species. Notice the very subtle pink stamenal filament and the yellow ring that tends to diminish in more mature flowers of this clone. Photos 1-3 were taken by Alessandro Marinello and photo 4 was taken by Nhu Nguyen showing the growth habit at flowering. 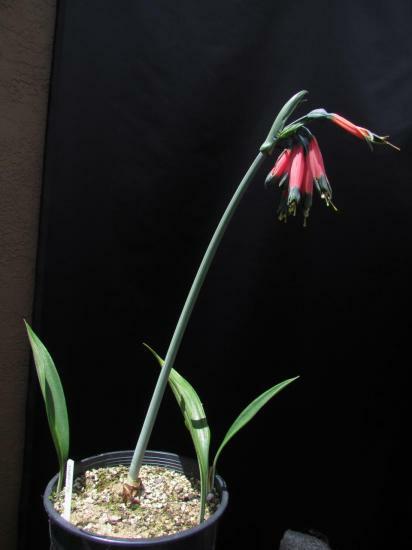 Phaedranassa glauciflora Meerow is native to Ecuador in the provinces of Chimborazo and Morona-Santiago between 2,000–2,500 m. Currently there are seven populations of clumped plants in an area less than 100 m². Many of these populations are on farm land and are listed by the IUCN as endangered due to habitat destruction. 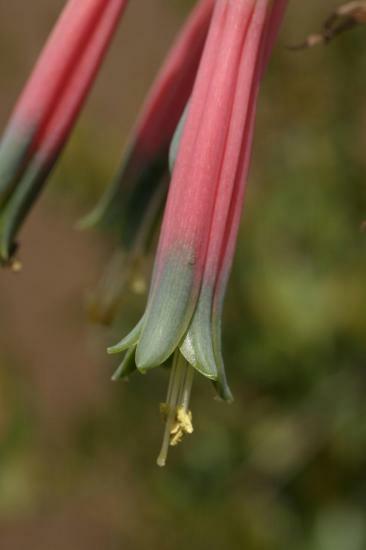 Staminal filaments are pink, flowers are longer than 45 mm and are glaucous. 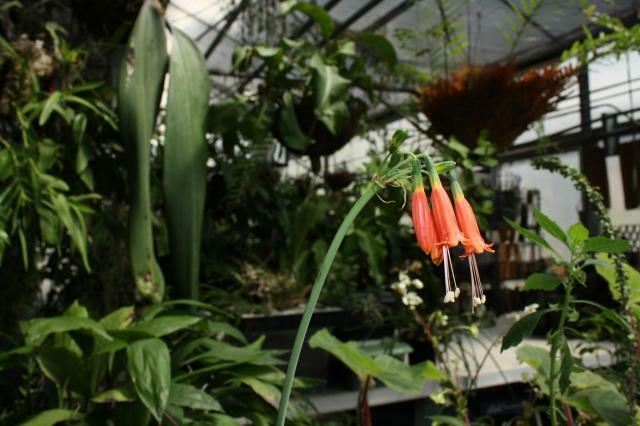 The photos below were taken by Nhu Nguyen of a plant that best matches the identity of this species. Alan Meerow suggested there are many wild populations of this species that needed to be studied in order to understand their full morphological range. 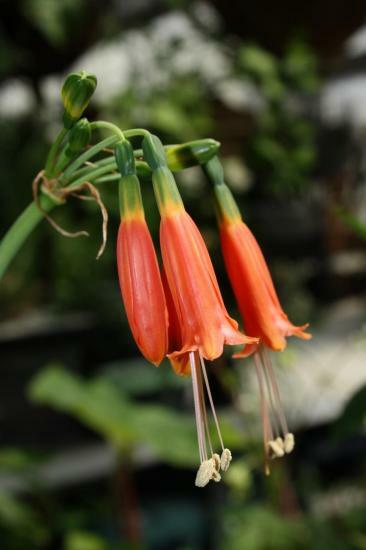 Phaedranassa lehmannii Regel is native to Colombia. 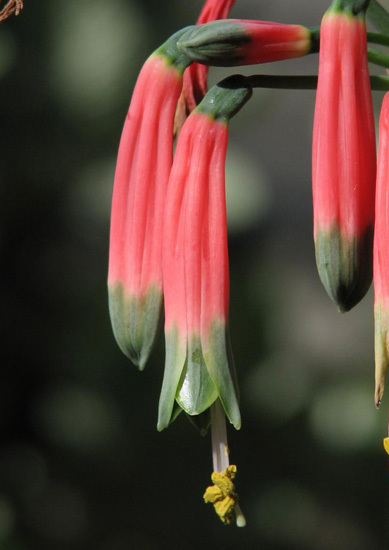 It is one of the most distinctive in the genus. 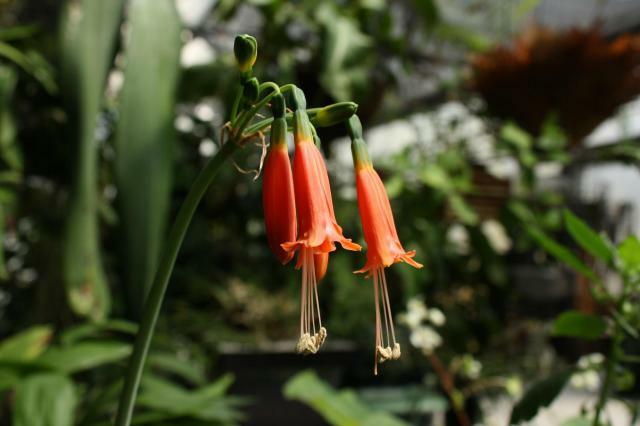 The photos below are of plants grown by Dylan Hannon originally from the Río Patía area in southwestern Colombia. Photos 1-3 were taken by Nhu Nguyen and photo 4 was taken by Dylan Hannon. 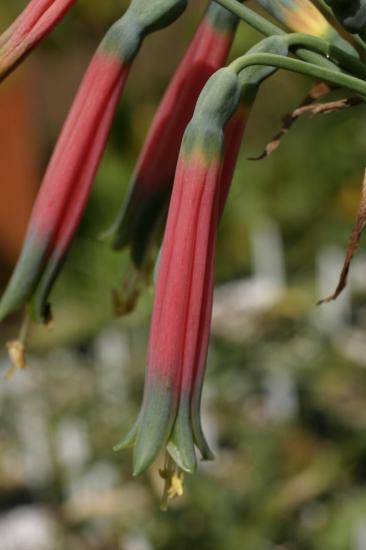 Phaedranassa schizantha Baker is native to Ecuador in the provinces of Azuay, Bolívar, Chimborazo, Cotopaxi and Tungurahua. 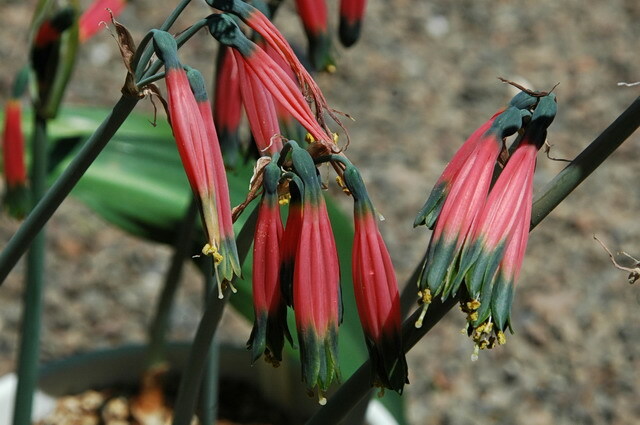 It is found in disturbed areas and along roads in dry, inter-Andean valleys. There are two varieties, ignea and schizantha. Variety ignea is listed by the IUCN as critically endangered. It has only been collected in an area less than 100 km² near Ambato. The species as a whole is threatened by habitat destruction. 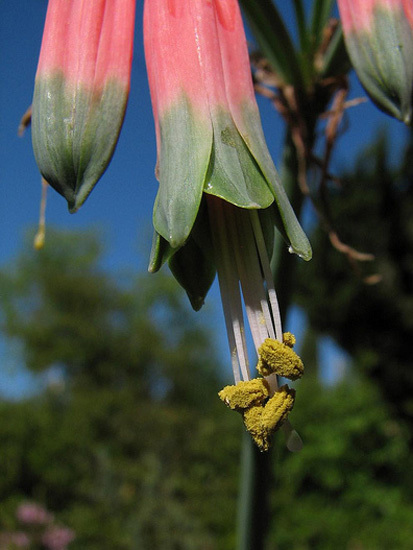 Flowers resemble P. dubia except that the tepals are only medially stripped light green in the distal 1/3. Phaedranassa tunguraguae Ravenna is restricted to the Pastaza river valley in the province of Tungurahuato in central Ecuador. The species inhabits disturbed areas like roadsides, pastures and cliffs, where it forms clumps of fewer than 100 individuals. It is listed by the IUCN as endangered, threatened by habitat loss. Staminal filaments are white, tepals without a narrow band of yellow separating the pink proximal and green distal portions. Leaves are not glaucous. Photos 1-2 were taken by Dylan Hannon and the last by Digby Boswell. 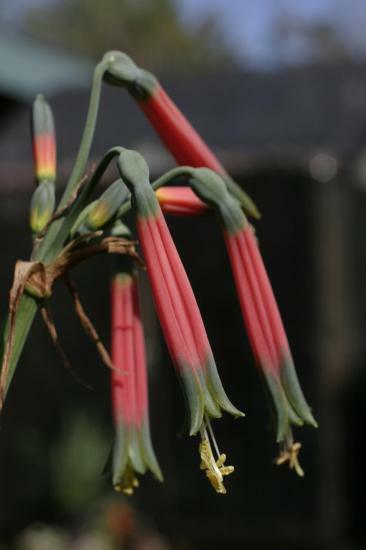 Phaedranassa viridiflora Regle was described as coming from Peru originally, but has never been re-collected in Peru. At least five subpopulations of about 100 individuals each occur in the Reserva Geobotánica Pululahua, Ecuador. It is listed by the IUCN as endangered due to agriculture, grazing, and collections. 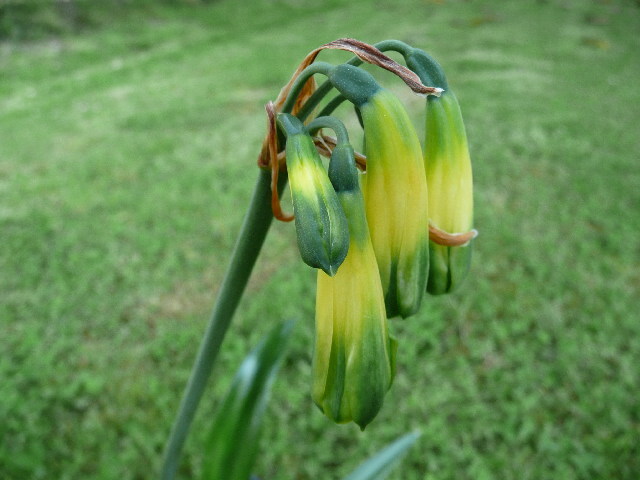 This one has lovely flowers, banded in green and yellow, with a wider more bell-shaped flower. The inflorescence is robust and are tall compared to others. 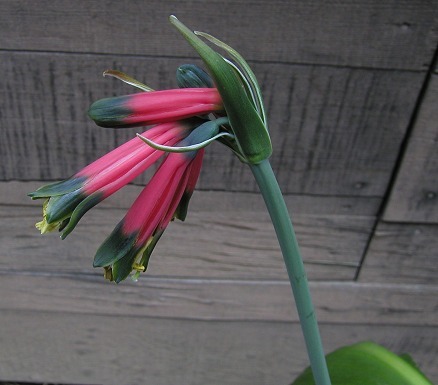 This species grows and multiplies very well in humid tropical climates such as low elevation Hawai`i, although it never flowered, even when kept dried in winter. 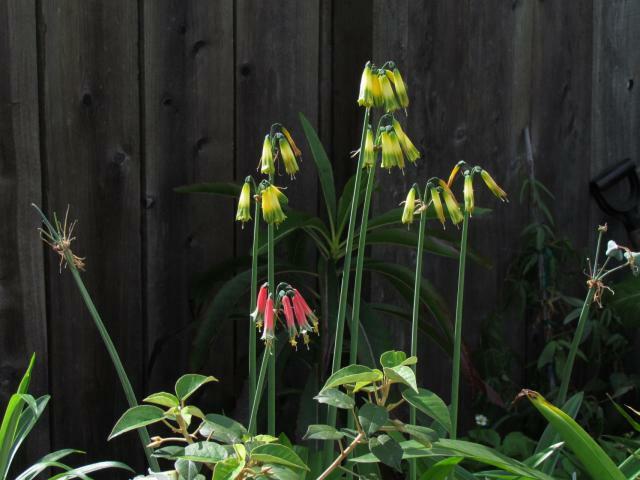 In the San Francisco Bay Area, it can be grown outdoors where it is protected from winter frost (temperatures some nights go down to -2 °C). 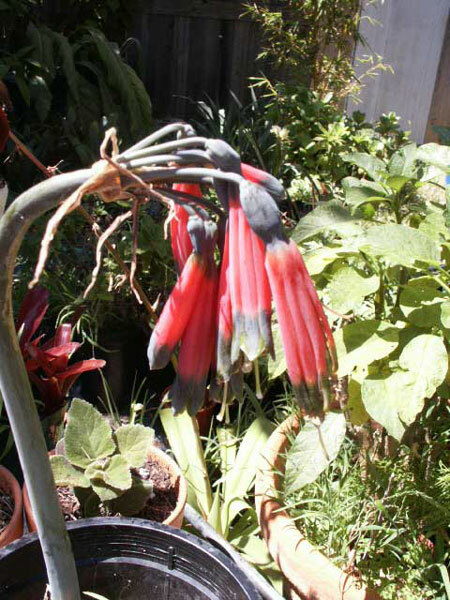 In order to bloom, it needs a cool and dryish winter dormancy. When the leaves have turned yellow, the plants are ready to go into dormancy. The pot should not dry out completely so watering once a month is recommended. Photos 1-3 were taken by Nhu Nguyen. Photos 4-5 shows a nice blooming of plants in two separate one-gallon pots. Phaedranassa dubia can also be seen in these photos; note the robust habit of the inflorescence and flowers of this species. Photos 4-5 were taken by Alessandro Marinello.